Working remotely has always been a long-standing challenge. However, with the advances in technology and mobile devices, it’s becoming substantially easier to leave the days of your old brick-and-mortar office behind. 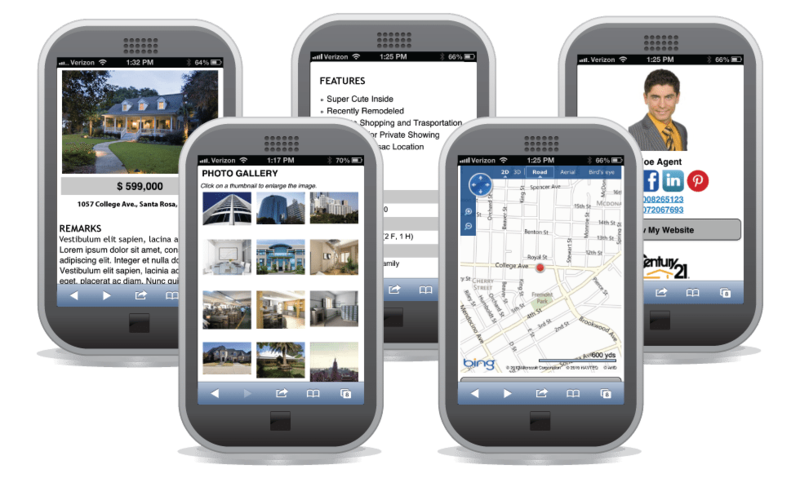 Now, you can manage your real estate business on the fly, provided that you’re equipped with the right suite of tools. These are three of the best apps we’ve found for getting the job done on the go. Today’s biggest trends in the real estate industry? Mobile, mobile, mobile. If you haven’t heard of dotloop and its “peoplework” concept, wake up! They’re single-handedly changing the nature of real estate transactions. You can use dotloop to create “loops,” or online workspaces for home sales, apartment rentals, expense reports or anything else that you need to keep in one central and secure location. That way, nothing gets lost and all of the applicable collaborators know exactly where they need to go to do their part. Once you’ve created your loop, collaborators can easily sign documents and negotiate, bringing the seemingly endless back-and-forth process to a close. Best of all? You can try it for free before you commit. If you still use fax machines to send important documents and contracts and, like most people, don’t have a fax machine of your own, consider HelloFax. Operating under the assumption that most faxes these days serve to collect signatures, HelloFax allows you to sign, initial and fill out important documents before sending them to your recipient via email or fax. Whether you fax frequently or use it as an occasional medium, HelloFax’s flexible pricing plans are sure to have a suitable option for you. Quickoffice Pro is one of the most comprehensive mobile document editors on the market today, especially if you’re a die-hard fan of the Microsoft Office suite. With Quickoffice, you can create, edit and share Microsoft Office files, including Excel spreadsheets and PowerPoint presentations. The tool allows you to access and share your Google Drive files as well. It’s also great for adding notes and marks to PDF files. Want even more? Quickoffice offers integrations with some of our favorite cloud-based software solutions like Dropbox, Box, Evernote and more. And for a mere $15, all of this is yours in the palm of your hand. What’s your favorite app or tool when it comes to working on the fly? Drop us a line in the comments or tweet us @Contactually.